Spring 2016 sees the Houses of Parliament offering a wider range of tour options and more opening times to encourage both first time and repeat visitors to take a look around this iconic building. All tours include the majestic Lords Chamber, the Commons Chamber with its famous green benches and the medieval Westminster Hall. Following the popularity of the feature film 'Suffragette', the Houses of Parliament is running a season of Suffragette themed tours between 6 February and 6 April 2016. 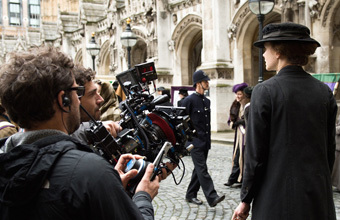 The Pathé UK feature film 'Suffragette' directed by Sarah Gavron and starring Carey Mulligan, Anne-Marie Duff and Meryl Streep, incorporates scenes shot at Westminster. Designed especially for families visiting Parliament, the afternoon begins with a one hour tour led by a Visitor Assistant through the House of Commons and the House of Lords. The tours are ideal for children aged 7 and over and are followed by a range of optional 'Votes for Women! '-themed family activities. These family tours run on Saturdays throughout February and March, and on Tuesdays 16 February, 29 March and 5 April, starting at 1.30pm and 3pm. Tickets are free for children and £18 for adults. Led by a Blue Badge Guide, this 90 minute guided tour through the House of Commons and the House of Lords focuses on the journey from early petitioning for women's suffrage through to the UK's first (and so far) only female Prime Minister and the prominent role of women in Parliament today. These guided tours run on Saturdays throughout February and March, and on Wednesdays 17 February, 30 March and 6 April, starting at 1pm. Tickets are £25. The Houses of Parliament has introduced the option of private guided tours on weekday mornings as the buildings are being prepared for the working day ahead. Available on request, these intimate tours for groups of up to 10 visitors can be tailored to reflect the interests, knowledge and preferred language of the group. 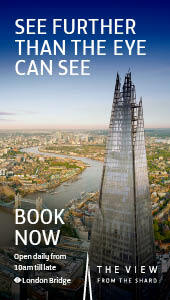 Most private tours begin at 8.30am and prices start from £475 per group. Individual visitors and groups can choose between the award-winning Blue Badge Guide-led tours which take 90 minutes and the popular self-guided audio option which takes approximately 60 to 75 minutes. Discounted group rates are available for groups of 10 or more. 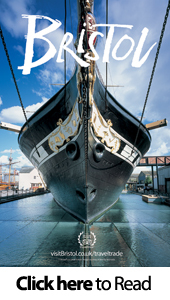 Tickets can now be booked for all Saturdays through to 25 June, and for most weekdays between 12 and 19 February and during the Easter holidays between 29 March and 8 April. Elegant post-tour afternoon tea in a riverside room in the House of Commons can be added on most tour dates. A range of additional languages are offered including French, German, Italian, Spanish, Brazilian Portuguese, Mandarin and Russian. There is also a family version of the audio tour, produced for children aged 7 to 12, in English. Bookings for Houses of Parliament tours can be made by calling Parliament's bookings team on +44 (0)20 7219 4114 or online at http://www.parliament.uk/visiting. Picture © UK Parliament/Steffan Hill.